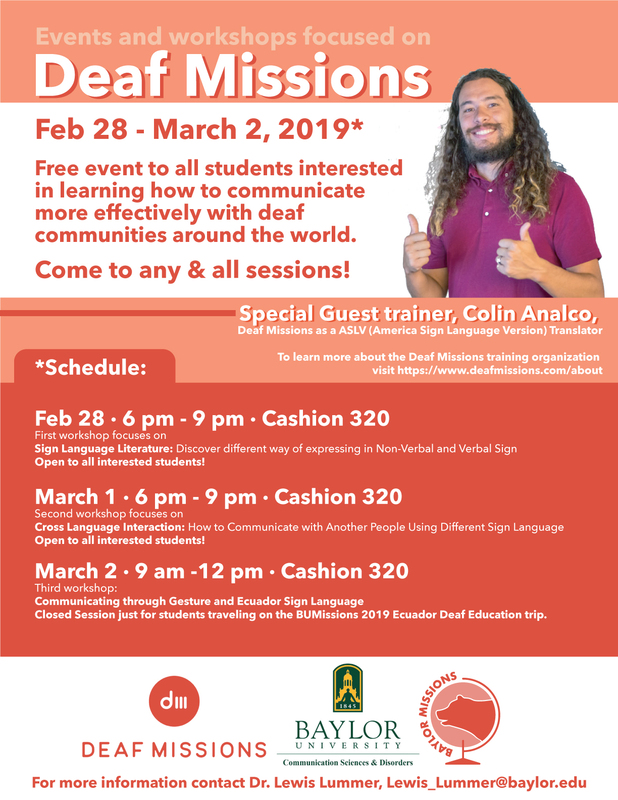 Free Event to All students interested in learning how to communicate more effectively with deaf communities around the world. Come to any & all sessions! First workshop focuses on: Sign Language Literature: Discover a different way of expressing in Non-Verbal and Verbal Sign. Open to all interested students! Second workshop focuses on: Cross Language Interaction: How to communicate with another people using different sign language. Closed Session just for students traveling on the BUMissions 2019 Ecuador Deaf Education trip.